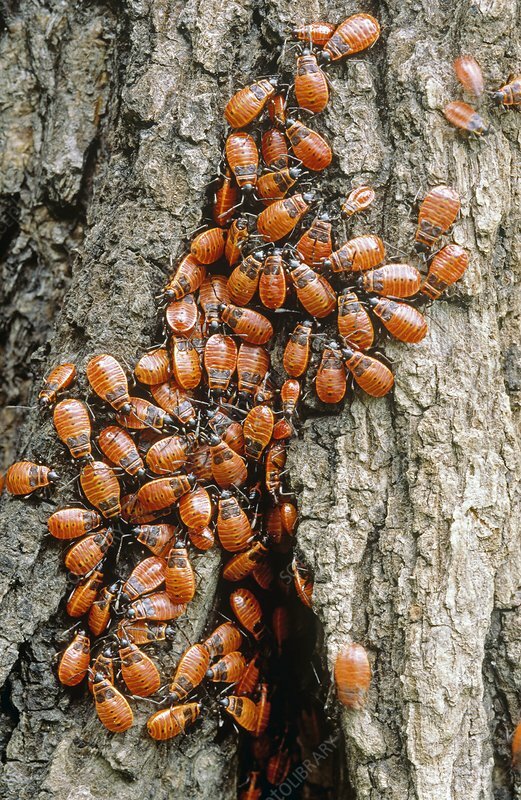 Firebugs (Pyrrhocoris apterus) on a tree trunk. Firebugs feed on seeds. Photographed in Poland.